Elle Fanning (Super 8) and Olly Alexander (Enter the Void) have signed on to star in God Help the Girl, a musical written and directed by Belle & Sebastian frontman Stuart Murdoch. The band released a concept album titled God Help the Girl as a precursor to the film under the conceit of a “girl group” sound. Eve, the main character sung by Catherine Ireton on the album, has yet to be cast. According to Variety, Alexander will play “a cynical guitarist who accompanies Eve’s singing and becomes a mentor to Cass (Fanning), an American teen who tags alongside the duo as she learns to play the guitar.” Producers Barry Mendel, Carole Sheridan, Chris Curling, and Phil Robertson raised more than $100,000 on Kickstarter to finance the movie. HanWay Films will package the international rights to shop around at Cannes. Murdoch will begin filming in Glasgow in June before Fanning moves on to shoot Disney’s Sleeping Beauty re-imagining Maleficent. Hit the jump for a taste of the music, plus new casting details for Stand Up Guys. Variety reports Vanessa Ferlito (Wall Street: Money Never Sleeps) and Katheryn Winnick (Love and Other Drugs) will join the cast of Stand Up Guys. Al Pacino, Christopher Walken, and Alan Arkin star in the action-comedy about “a pair of aging con men who try to get the old gang back together for one last hurrah” Fisher Stevens will direct from a script by Noah Haidle. Sidney Kimmel, Gary Luchesi, Tom Rosenberg, and Jim Tauber are producing Stand Up Guys, which starts shooting this month. Now back to God Help the Girl. 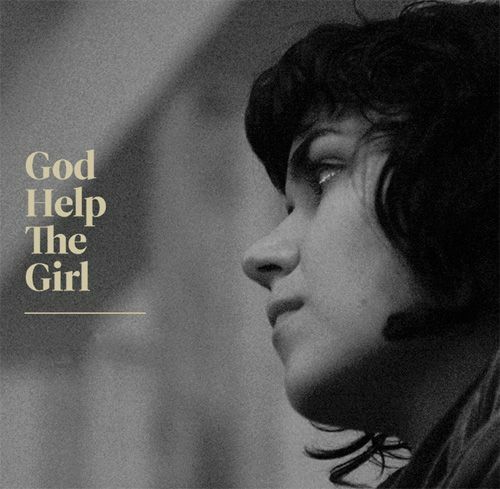 It is a very intriguing concept, and like all Belle & Sebastian music, God Help the Girl is pleasant enough. But it’s so much more laid back and than your traditional girl group music. I am curious to see how well this low-energy folk lends itself to a cinematic musical. For your immersion, here’s a 4-part behind-the-scenes featurette on the making of the album.